VJ Books Presents Author Douglas Preston! 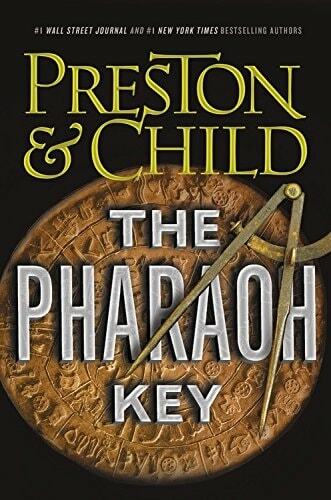 Douglas Preston was born in Cambridge, Massachusetts in 1956, and grew up in the nearby suburb of Wellesley. He attended Pomona College, and studied a wide variety of subjects before deciding to major in English Literature. Following graduation, Preston worked at the American Museum of Natural History in New York, writing, editing, and managing publications. During his time at the museum, he was commissioned to write a book on the history of the museum by Lincoln Child, then an editor at St. Martin's Press. The resulting volume, Dinosaurs in the Attic was published in 1986, and began a working relationship between Child and Preston. 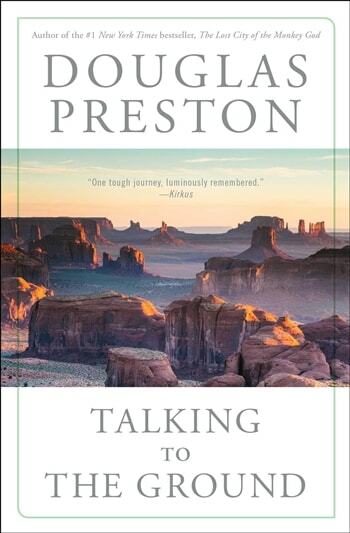 Preston moved to Santa Fe to begin writing full time. He published his first novel, Jennie, in 1994, and a year later, he and Child published a collaborative novel, Relic (1995), which became hugely successful. Since then, the two have become one of the world's best-selling writing teams. 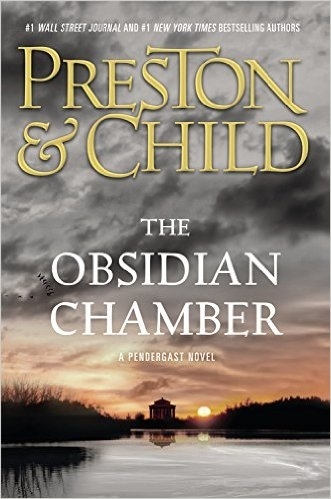 Preston has also written numerous meticulously-researched non-fiction titles, and two series of novels written solo. Preston's alma mater granted him an honorary Doctor of Letter in 2011. He was Co-President of International Thriller Writers and serves on the Board of Governors of the Authors Guild. He is a Fellow of the Royal Geographical Society and a member of the Long Rider's Guild. Preston now lives part time in New Mexico and part time in Maine. Signed Hardcover Book. May 2016 NY: Grand Central Publishing First edition, first printing, mint, new/unread in a flawless dust jacket, signed by both authors. Each dust jacket is protected in an acid-free archival quality acetate cover. Signed Hardcover Book. May 2016 NY: Grand Central Publishing First edition, first printing, fine in a fine dust jacket, signed by both authors, remainder marked. Each dust jacket is protected in an acid-free archival quality acetate cover. Signed Hardcover Book November 2014 NY: Grand Central First edition, first printing, mint, new/unread in a flawless dust jacket, signed by both authors. Each dust jacket is protected in an acid-free archival quality acetate cover. Signed Hardcover Book November 2014 NY: Grand Central First edition, first printing, fine in a fine dust jacket, signed by both authors, remainder marked. Each dust jacket is protected in an acid-free archival quality acetate cover. Signed Hardcover Book November 2014 NY: Grand Central First edition, first printing, good (glue damage inside boards) in a fine dust jacket, signed by both authors. Each dust jacket is protected in an acid-free archival quality acetate cover. VJ Books Price $9.99 --> What is the value of Double Signed books? Signed Hardcover Book November 2014 NY: Grand Central First edition, first large print, mint, new/unread in a flawless dust jacket, signed by both authors. Each dust jacket is protected in an acid-free archival quality acetate cover. VJ Books Price $19.99 --> What is the value of Double Signed books? Signed Hardcover Book November 2014 NY: Grand Central First large print edition, first printing, fine in a fine dust jacket, signed by both authors, remainder marked. Each dust jacket is protected in an acid-free archival quality acetate cover. Signed Hardcover Book. 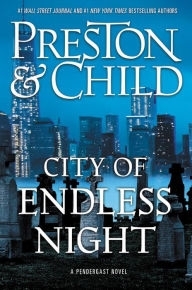 2006 NY: Warner Books First edition, first printing, mint, new/unread in a flawless dust jacket, signed by BOTH authors. Every dust jacket is placed in acid-free archival quality acetate. VJ Books Price $49.99 --> What is the value of Double Signed books? Signed Hardcover Book. 2006 NY: Warner Books First edition, first printing, near-fine (bump to spine top) in near-fine dust jacket, signed by both authors. Every dust jacket is placed in acid-free archival quality acetate. VJ Books Price $15.99 --> What is the value of Double Signed books? Signed Hardcover Book. 2006 NY: Warner Books First edition, first printing, fine in a fine dust jacket, signed by both authors. Every dust jacket is placed in acid-free archival quality acetate. Signed Hardcover Book. May 2009 NY: Grand Central Publishing First edition, first printing, mint, new/unread in a flawless dust jacket, signed by BOTH authors. Every dust jacket is placed in acid-free archival quality acetate. Signed Hardcover Book. 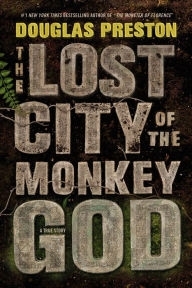 May 2009 NY: Grand Central Publishing First edition, first printing, fine in a fine dust jacket, signed by both authors. Every dust jacket is placed in acid-free archival quality acetate. Signed Hardcover Book. January 2018 NY: Grand Central Publishing First edition, first printing, mint, new/unread in a flawless dust jacket, signed by both authors. Each dust jacket is protected in an acid-free archival quality acetate cover. Signed Hardcover Book. August 2011 NY: Grand Central Publishing First edition, first printing, mint, new/unread in a flawless dust jacket, signed by both authors. Every dust jacket is placed in acid-free archival quality acetate. Signed Hardcover Book November 2015 NY: Grand Central First edition, first printing, mint, new/unread in a flawless dust jacket, signed by both authors. Each dust jacket is protected in an acid-free archival quality acetate cover. Signed Hardcover Book. May 2010 NY: Grand Central Publishing First edition, first printing, mint, new/unread in a flawless dust jacket, signed by both authors. Every dust jacket is placed in acid-free archival quality acetate. Signed Deluxe Limited Numbered Edition. 2012 MD: Cemetery Dance Deluxe Limited Numbered edition, first printing, mint, new/unread in a flawless dust jacket, full-color signature sheet signed by both authors. Artwork by Tomislav Tikulin. Every dust jacket is placed in acid-free archival quality acetate. VJ Books Price $129.99 --> What is the value of Double Signed books? Signed Hardcover Book. January 2012 NY: Grand Central Publishing First edition, first printing, mint, new/unread in a flawless dust jacket, signed by both authors. Every dust jacket is placed in acid-free archival quality acetate. Signed Deluxe Limited Numbered Edition. October 2011 MD: Cemetery Dance Deluxe Limited Numbered edition, first printing, mint, new/unread in a flawless dust jacket, full-color signature sheet signed by both authors. Artwork by Tomislav Tikulin. VJ Books Price $119.99 --> What is the value of Double Signed books? Author Signed Hardcover Book. February 2011 NY: Grand Central Publishing First edition, first printing, fine in fine dust jacket, signed by both authors, remainder marked. Every dust jacket is placed in acid-free archival quality acetate. Author Signed Hardcover Book. February 2011 NY: Grand Central Publishing First edition, first printing, fine in a near-fine (sealed cut to front) dust jacket, signed by both authors, remainder marked. Every dust jacket is placed in acid-free archival quality acetate. Signed Hardcover Book. February 2011 NY: Grand Central Publishing First edition, first printing, mint, new/unread in a flawless dust jacket, signed by both authors. Every dust jacket is placed in acid-free archival quality acetate. Author Signed UK Hardcover Book. April 2011 LON: Orion First UK edition, first printing, mint, new/unread in a flawless dust jacket, signed by both authors. Every dust jacket is placed in acid-free archival quality acetate. Signed Hardcover Book August 2014 NY: Grand Central First edition, first printing, mint, new/unread in a flawless dust jacket, signed by both authors. Each dust jacket is protected in an acid-free archival quality acetate cover. Signed Hardcover Book. October 2016 NY: Grand Central Publishing First edition, first printing, mint, new/unread in a flawless dust jacket, signed by both authors. Each dust jacket is protected in an acid-free archival quality acetate cover. Signed Hardcover Book. October 2016 NY: Grand Central Publishing First edition, first printing, fine in a fine dust jacket, signed by both authors. Each dust jacket is protected in an acid-free archival quality acetate cover. Signed Hardcover Book. October 2016 NY: Grand Central Publishing First edition, first printing, fine in a fine dust jacket, signed by both authors, remainder marked. Each dust jacket is protected in an acid-free archival quality acetate cover. Author Signed Hardcover Book June 2018 NY: Grand Central Publishing First edition, first printing, mint, new/unread in a flawless dust jacket, signed by both authors. Each dust jacket is protected in an acid-free archival quality acetate cover. Signed Hardcover Book 1997 NY: Forge Book club edition, fine in a flawless dust jacket, bookplate signed by both authors on FFEP. Each dust jacket is protected in an acid-free archival quality acetate cover. Signed Hardcover Book. December 2012 NY: Grand Central Publishing First edition, first printing, mint, new/unread in a flawless dust jacket, signed by both authors. Each dust jacket is protected in an acid-free archival quality acetate cover.